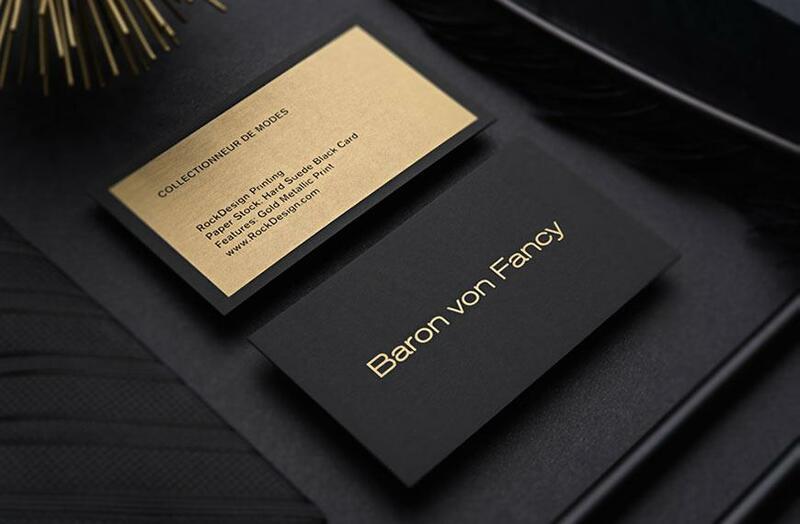 Setting yourself as a step above the competition is easy with our black soft suede cardstock, utilizing the luxurious texture as the perfect canvas for stylish designs combined with bold statements. 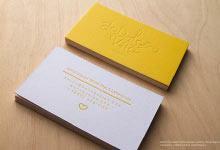 The 25pt thickness supports a variety of features that liven up this design, including matte gold foil stamping to the front and back that adds a beautiful energy to this template. Die cutting has rounded out the corners for a more luxurious look, whilst silver metallic ink serves as the ideal balance between the gold and black coloring. The bold style harmonizes an impression of modernism and professional, making this composition perfect for design and printing companies as they are reflective of these two points. The sharp image manages to retain a sense of style, reassuring receivers that they are working with a company of the highest prestige. 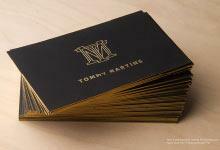 Oversized plating has been used due to the foil stamping extending beyond the card edge.